As the militant environmental movement entered the mid 90’s it was mired in internal conflict about tactics, the relevance of other causes to wilderness defense, and whether or not violence was justifiable in solidarity with wild creatures and ecosystems. Despite this infighting groups like Earth First! managed to win some sizable campaigns using blockading and civil disobedience techniques. But the Direct Action manual was more than that. 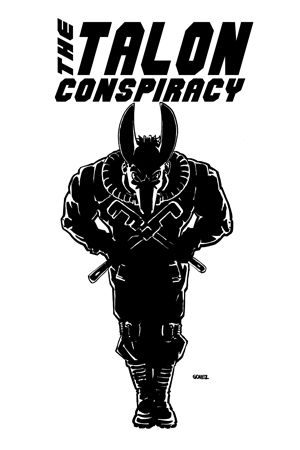 It also contained short articles about Critical Mass, The Animal Liberation Front, varying theories on non-violence as an ethic vs. a tactical choice, and plenty of discussion of practical security measures for activists. It not only put the power of blockades into the hands of the masses, it also put minds into motion to consider the best ways forward for the radical environmental movement. 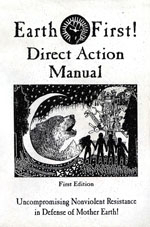 Conflict Gypsy has obtained a copy of the first edition of the Direct Action Manual (Commonly referred to at the time as the D.A.M.) for posting on the site, but would love to also post a copy of the second edition. Please contact us at conflictgypsy (at) gmail (dot) com if you can loan us one for scanning!